Troll Wall, Norway. Photo: Courtesy of Tony Howard. 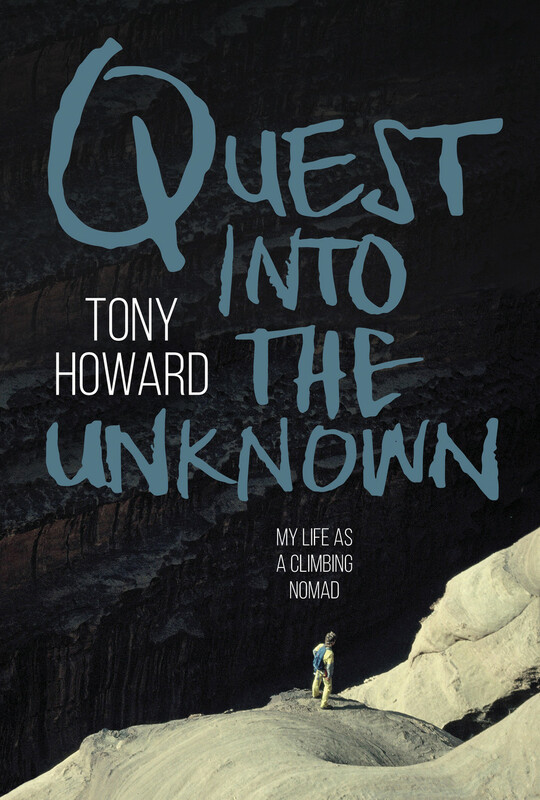 Quest into the Unknown, by Tony Howard. One of the greatest ever achievements by British rock climbers. I was in the Dolomites again in 1964, first with Stan Wroe then with Erg. We got some good routes in, and Stan and I wondered about having a go at the Old Man of Hoy the following year as it was still unclimbed, though by Christmas I had a better idea: the unclimbed Troll Wall. I discussed it with John Amatt—a new member of the Rimmon. Soon after, I qualified as a BMC Peak District guide, taking clients on both trad and aid routes, but the Troll Wall was becoming an obsession. 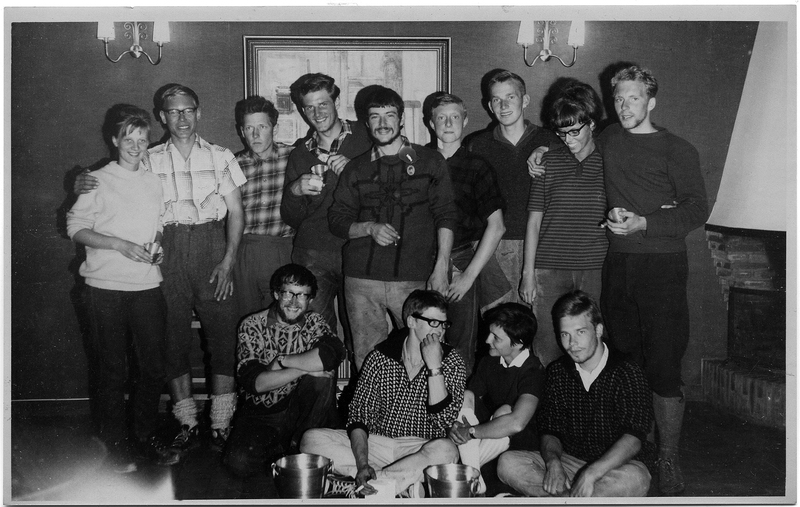 I hadn’t been back to Norway since 1962, but John had been the previous year and knew about the wall’s reputation, and Paul and Brian had been in Romsdal in 1963, though their comments that it looked unclimbable hadn’t been encouraging. 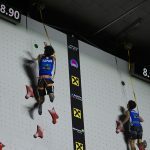 I was also aware that it was known as ‘the Vertical Mile,’ and was described as ‘the largest overhanging wall in Europe.’ It was reputed to be smooth and holdless for 1,500 metres, and impossible without the aid of bolts and bivouac hammocks. Enquiries soon revealed that it had been rejected by some of Britain’s best climbers, and just to add the finishing touch, it faced north and was as far north as Denali in Alaska. Surely it was beyond our capabilities? But you never know until you go. The Rimmon funded a recce trip for Smiler and me and we went up there that winter on the assumption that if there were any ledges on the wall they would be obvious in the snow—which they were. As were two obvious lines: one sneaking its way through overhangs near the centre of the wall to reach the summit from the bottom right; the other also trending left to reach a big ledge halfway up Arne Randers Heen’s Trollryggen Pillar, then up the extreme left edge of the wall. They both looked climbable, but we fancied the one up the wall itself. All that was needed was to get a team together from the Rimmon. I didn’t fancy John’s idea of asking some ‘big names’ along. If climbing’s about anything, it’s about being out on the hill with your mates, and having a good time together—success or failure. Meanwhile, Jack Longland, the BMC president, stuck his neck out by offering to act as patron, giving much-needed credibility to our efforts to attract sponsors. At least someone believed in us; everyone else thought we had no chance. The news of our attempt was out in Norway before we even got there. Top Norwegian climber, Ralph Høibakk, commented in Norway’s Aftenposten newspaper that there were many Norwegians interested in the wall, but he didn’t think there would ‘be two groups on the wall at the same time.’ Anders Oppdal, one of Norway’s top climbers, said he and Ralph ‘had talked about it for a few years but had no plans.’ He also said he was an opponent of prior publicity. I agree with him there, not my scene at all and never was, but the word was out. We had needed gear sponsorship as well as local information from Norway and it seemed Romsdal’s best-known climber, Arne Randers Heen with whom I had been corresponding had unsurprisingly let the cat out of the bag. 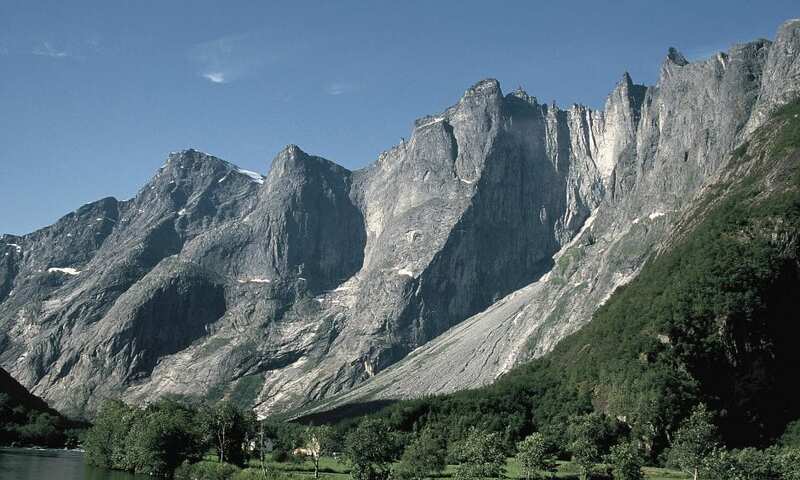 Even so, Anders said, ‘I can guarantee that no Norwegian climbers will approach Trollveggen (the Troll Wall) before the English have either achieved the goal or given up,’ but he hedged his bets by adding, ‘there are possibly other Norwegian climbers who have more definite plans than us. When the English give it a try, it’s quite possible that this could speed up plans on the Norwegian side.’ He wasn’t wrong! Photo: Courtesy of Tony Howard. Suffice it to say, it was the last and biggest of Europe’s great north walls to be climbed, and despite everyone’s doubts, we—a group of unknown climbers—did it, as did a team of four Norwegians who topped out a day before us via the other line we had seen on our recce. I wrote the full story of the climb immediately after the ascent then shelved it as everyone was making far too much fuss about it and I didn’t like being in the limelight. Then, in 2011, when Dave Durkan, a friend of mine in the Norwegian Alpine Club, asked if I had anything unpublished on my Romsdal climbs in the 1960s, I remembered the manuscript and sent it to Ed Douglas to see if he thought it might be of interest. Ed recommended it to Vertebrate Publishing and they miraculously slotted it into their schedule. Doug Scott very kindly wrote the foreword and Troll Wall: The untold story of the British first ascent of Europe’s tallest rock face was published that year. It received the Special Award at the Romsdal Mountain Festival in Norway followed by an invite to Trento in the foothills of the Dolomites where it received the Premier ITAS Award at their mountain festival, and to my surprise another award the next year, once again in Italy, in Tolmezzo. It had indeed been a truly epic climb on which we almost died on our first attempt due to the atrocious weather, the exposed position of our second bivouac, and our eventual forced retreat through icy waterfalls—all in our totally inadequate 1960s bivouac gear and clothing. When we finally completed the ascent it was after five and a half days of perfect weather. We met the rest of our team and the Norwegian team as the skies were darkening for another onslaught of rain, snow and thunder that lasted for days. How lucky we were! It was reported in the Norwegian press that the Norwegian climbers thought our achievement put theirs in the shade, which was over-kind of them and far too modest. Upon our success, one very well known British climber who was very familiar with Norway and who had provided information for us found it so incredible that he actually wrote to J.E.B. Wright, the editor of Mountain Craft, implying that we must have found a way to sneak up the back without being noticed! Wright gave me a chance to reply, but in the end the letter was never published. Conversely, Joe Brown said ‘the ascent must rank as one of the greatest ever achievements by British rock climbers,’ which blew me away, as did Aslak Aastorp’s description of our route as ‘a masterpiece of route finding at the highest free and aid standards of the day.’ I felt his grade comments were over enthusiastic, but I liked the route finding bit, as finding what was acknowledged as the best natural line up the wall was something I was always pleased about. This overlooks the undoubted ability and commitment of the rest of the team who, I’m sure, were quite capable of overcoming any obstacle met on their route even without the new American gear and Leif’s undoubtedly inspirational leadership. None of us had expected the fame created fifty years ago by the press in their portrayal of Climbers Compete on the Troll Wall, so the fiftieth anniversary was a perfect opportunity for us to jointly dispel the myth, with members of both 1965 teams on stage. It never was a competition. Back home after the climb, I thought I had better turn my scribbled diary into something more legible, so over the next couple of months I wrote the story and had it typed. During this time I was also lecturing on the climb and what with that and the articles that had been in the press nationwide, I was becoming increasingly well known and being recognised on the crags and in the pubs. It wasn’t my scene, so I stuck the story away on a shelf and decided not to publish it. The success of the climb also meant that the gear we had used was suddenly in demand, so Alan Waterhouse and I had orders for our alloy wedge nuts, as well as hexagons, waist belts and rolls of climbing tape (tape being another newcomer to the climbing market); we even got orders for bivvy tents, despite the fact that we had almost died of hypothermia and suffocation in ours. We put the name ‘Troll’ on the gear and we had a business. We spent ninety quid on a bench drill and other bits of engineering equipment necessary to make nuts, and set it up in my cottage bedroom. The waist belts were made in a local leatherworks and that was it. I wasn’t getting rich—far from it—but I was working as and when I wanted, and climbing the rest of the time. 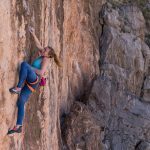 Excerpted with permission from Quest into the Unknown: My Life as a Climbing Nomad (Vertebrate Publishing, April 2019) by Tony Howard. Tony Howard rose to fame in 1965 as a member of a group of young climbers from northern England who made the first British ascent of Norway’s Troll Wall; a climb described by Joe Brown as, “One of the greatest ever achievements by British rock climbers.” Tony went on to design the modern sit harness, now used worldwide by most climbers. He founded the company Troll Climbing Equipment but never stopped exploring. Quest into the Unknown is his story.